Running on Pixie Dust: A DREAM come true birthday vacation. . .
A DREAM come true birthday vacation. 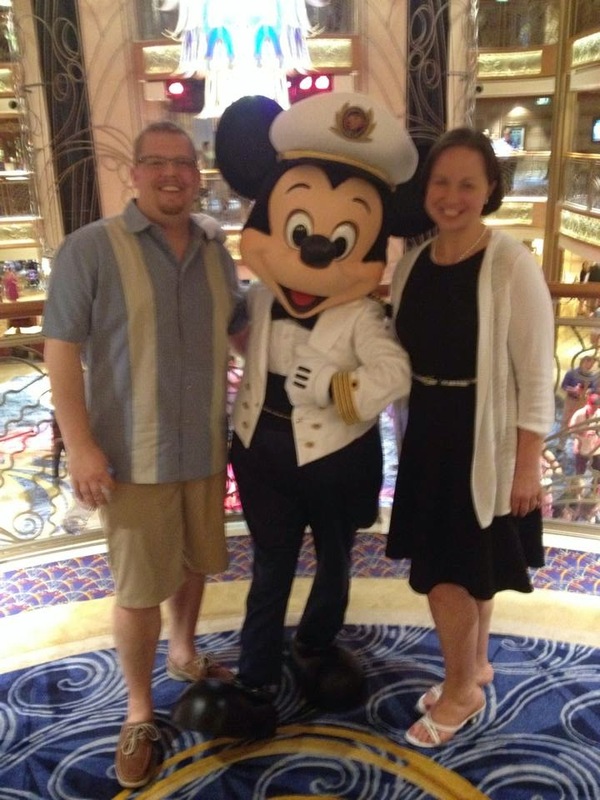 . .
We are just back today from the Disney Dream and had a magical time! This trip was just Dan and I for a "grown-up" trip to celebrate my 30th birthday. I've got lots of ideas for wonderful blogs about all of our fantastic experiences, but here is just a quick recap and sneak peek of what's to come. Itinerary - We flew out of Baltimore on Sunday, April 13 and boarded the ship the same day. 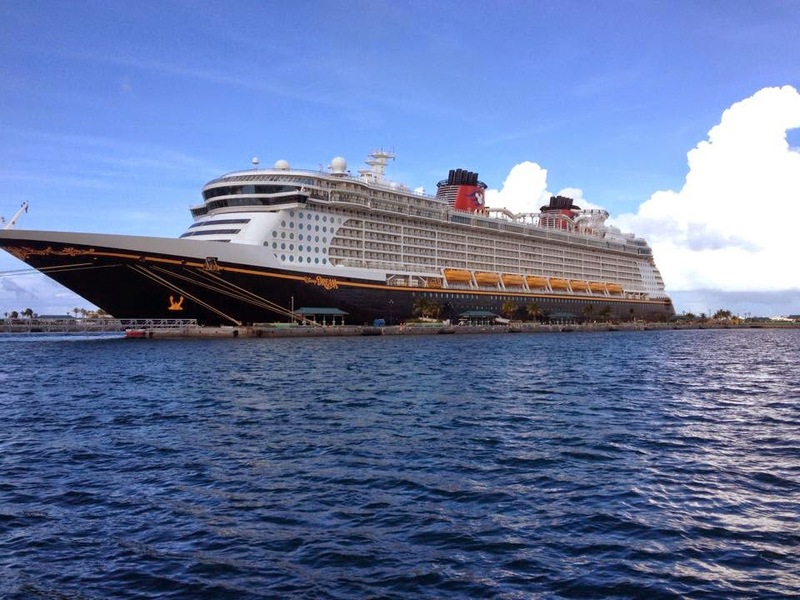 It was a 4 night Bahamian cruise with a stop in Nassau, Castaway Cay, and then one day at sea. When we disembarked on Thursday, we rented a car and visited Kennedy Space Center before visiting Downtown Disney and having dinner at Ohana inside the Polynesian Resort. The Bahamas were beautiful and we couldn't have asked for nicer weather! I loved the 4 night cruise as a perfect little getaway. Dan would disagree after doing the 7 night cruise last year and argue that 4 nights is too little of a vacation for all the work, planning, travel days, etc. that go into preparing. Activities - I have so many things to review here! We went to a beach on Nassau and ended up finding our own private side that no one else was on. It was 4 hours of wonderful peace and quiet with the only sound being crashing waves. At Castaway Cay, I ran the 5K (loved it!!!) and then we spent the day at Serenity Bay. We also took advantage of some fabulous spa treatments on board. Dining - Disney is known for their rotational dining on the cruise ships, which we loved on our first cruise. Since we had the flexibility without toddler in tow this time, we opted though to take advantage of more adult dining options. We had 2 dinners at Palo and a brunch at Remy. Palo was wonderful as always and Remy was a delicious new experience that I can't wait to share more about! Entertainment - Would you expect anything other than perfection from Disney in this category? The shows, staff, adult areas, etc were all great. I'll give a run down of all of the shows we've seen between our trip on the Fantasy and this one on the Dream as well as telling you about the adult night scene on the Dream. Overall - What a wonderful trip! Capping it off at Kennedy and with dinner at Ohana only made it more perfect. From Ohana you have a straight on view of the Magic Kingdom fireworks so we had a front row seat to the fireworks while the accompanying music was played in the restaurant. I hope you're as excited to hear about some of the awesome experiences from DCL as I am to share them in the weeks ahead!